It’s now over 20 years since Riff Kills Man! hit the shelves, and, amazingly, Martin Popoff’s output appears to have gone into overdrive. He’s written or co-written over 50 books at this point, and banked interviews with every metal legend I can think of. And at the rate our heroes are dropping these days, I’m grateful he’s getting all these stories down for posterity. Wheels of Steel is the second installment in a typically ambitious Popoff project—a NWOBHM trilogy. 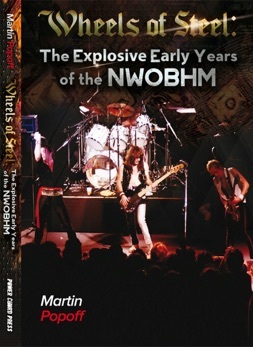 The first book was a compendium of NWOBHM record reviews, and the final volume covers the NWOBHM from 1981 to ’84. Wheels of Steel takes the timeline format, guiding us through the formation and blossoming of the scene that gave us Diamond Head, Angel Witch, Raven, Saxon, and, above all, Iron Maiden. It stops at the end of 1980 with the NWOBHM at its raucous peak. In addition to the artists already mentioned, the book does not ignore the bands that anticipated and inspired the movement, and who were rewarded with hit albums and mass popularity when the dam burst: Judas Priest and Motörhead especially. Popoff restricts his own editorializing to the book’s introduction and explanatory notes. The majority of the verbiage is quoted material from people who were around at the time; those who were either making things happen, or watching the scene develop. As noted above, Popoff’s talked to them all. Neal Kay, DJ and NWOBHM champion, has a lot to say for himself, especially about his Heavy Metal Soundhouse nights at London’s Prince of Wales pub and his quest to keep rock alive during the punk-centric mid-seventies. 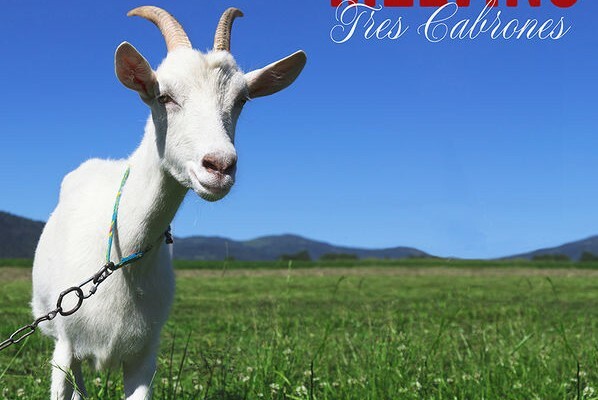 Steve Harris, Brian Tatler, Biff Byford, John Gallagher, Joe Elliot, and many more offer their own take on the crucial questions of the day. How did punk factor into all this? (There’s a whole spectrum of responses to that one.) How were Zeppelin, Sabbath and other “dinosaur” bands on the wane regarded? Who influenced who? There are opinions (and contradictions) galore within, and, taken together, they portray a metal scene that was hectic, inspired, messy, often naïve, and ultimately triumphant in shaping the metal that took us through the eighties and beyond. With such a quote-heavy volume, some of the voices get a bit repetitive. Several of the same stories are rehashed and some of the same topics are explored again and again. Such niggles aside, Popoff deserves kudos for assembling this entertaining trip through history. Wheels of Steel is a shot of serotonin in book form—I gleefully raced through it in a few days’ worth of commutes. Get it, crack it open and time travel back to the pubs, clubs, and concert halls of Great Britain in the seventies, where that new band at the bottom of the bill might just change your life.